“The business model itself is tried and true – it has been used successfully in other distributed energy technology markets – solar and wind, for example – but much less so with cogeneration,” said Brian Curtis, CEO and founder of Concentric Power. At the same time, Concentric says it breaks the traditional mold for historically complex energy projects by standardizing software, hardware and contracts. The finance program effectively enables Concentric to realize its ultimate goal, which is to make it as easy for customers to invest in on-site, low-carbon cogeneration and microgrids as it is to deal with a utility and rely on grid power, he explained. Concentric intends to finance cogeneration and microgrid projects ranging from $1 million to $40 million, sized as small as 400 kW to 20 MW or more. Small or large, Concentric will own, operate and manage these assets on behalf of customers, leveraging and expanding its network operations center platform in doing so. Concentric’s unnamed backer is an institutional fund with multiple limited partners set up for infrastructure investing. “They’re helping us not only in terms of investment capital, but by bringing a lot of financial discipline to our company and processes,” Curtis said. The company expects the $100 million finance program to give it a big step up in scale, both in terms of the systems it builds and its business activities. 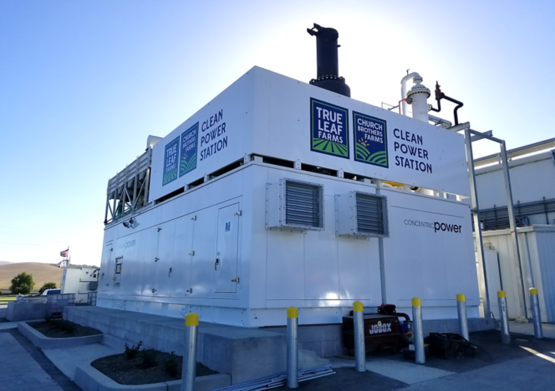 With new capital and expertise, the company plans to transition from a distributed energy resources and microgrid services provider focused on cogeneration to one that uses a wide variety of distributed energy resources, according to Curtis. 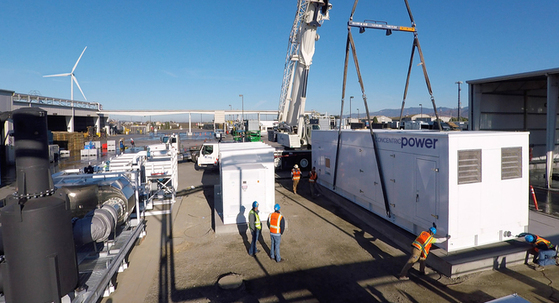 Technologically and organizationally, Concentric believes it now has the wherewithal to build, own and operate cogeneration, solar-plus-storage and hybrid distributed energy and microgrid projects that enhance the reliability and resiliency of energy services across the entire spectrum of prospective customers and installations. Those cutoff points span small-scale commercial systems, such as a small cooler that keeps vegetables fresh for an agricultural operation and range on up to refrigerated warehouses 3,000 square feet in area at the smaller end of the range. Further up in scale, Concentric owns and operates systems with 2 MW or more of power generation capacity for agricultural companies such as Taylor Farms, the largest fresh vegetable processor and marketer in the U.S. The next step are utility-scale projects up to 20 MW. Concentric is in discussions with one unnamed, prospective customer to deploy a combined total of 20 MW of on-site generation for five individual, but co-located facilities at an industrial park. The systems could serve as back-up energy resources for one another, thereby providing redundancy and improving energy reliability and resiliency. Concentric owns and operates about 8 MW of distributed energy capacity at present. Management believes the company can grow that to 40 or 50 MW over the course of the finance program’s two-year term. In addition to expanding the range of distributed energy and energy efficiency technology it offers, Concentric intends to expand geographically, marketing its energy services contracts in Canada and Mexico, as well as across the U.S.
“Our business model is to own and operate these systems over the long-term, over 20 years, so there’s an important asset management aspect that figures into this,” Curtis said. 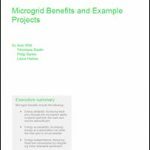 Track news about microgrid projects and financing. Subscribe to the free Microgrid Knowledge newsletter.